Fantastic ropes for flavour to cling to; fantastic tangles that don’t need untangling before eating; fantastic company to curl up on the couch with, and fantastically fun to eat (or slurp, or inhale!). For the Chinese, noodles are also thought to bring good fortune since long strands of noodles symbolise long life. 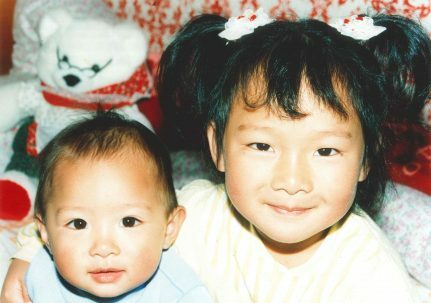 To get a yearly fix of this gastronomic elixir of life, birthday boys and girls (of all ages) eat longevity noodles, where the trick is to chopstick up the noodles without breaking them. 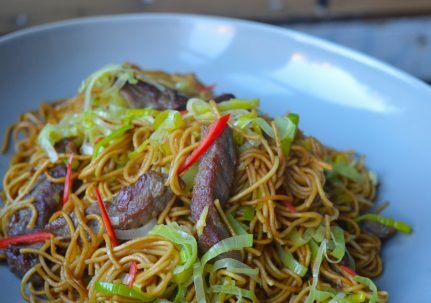 Noodles are an incredibly versatile foodstuff. There are, of course, the all-star icons like chicken chow mein which always have pride of place on menus. But the combination of so many different types of noodles and cooking methods means that delicious noodle permutations are endless. From noodles that swirl about in aromatic broths to stir fried dishes imbued with the tantalising smokiness of the wok, there’s no denying the serious tummy-rumbling power of noodles. You can even deep fry them into lacy crispy fritters for an unexpectedly delightful party treat. Perhaps even more surprising for some readers, we reckon that one of the very best ways to enjoy noodles is at breakfast. In China, street hawkers are up and out from the early hours to serve up some of the most incredible noodle dishes including star anise beef stew noodles, wonton noodle soup and soy sauce fried noodles. For us, sometimes noodles hit the breakfast-time spot in a way that toast and cereal never could. With so many different types of noodles on offer, it can sometimes be hard knowing which ones to choose when you are cooking at home. 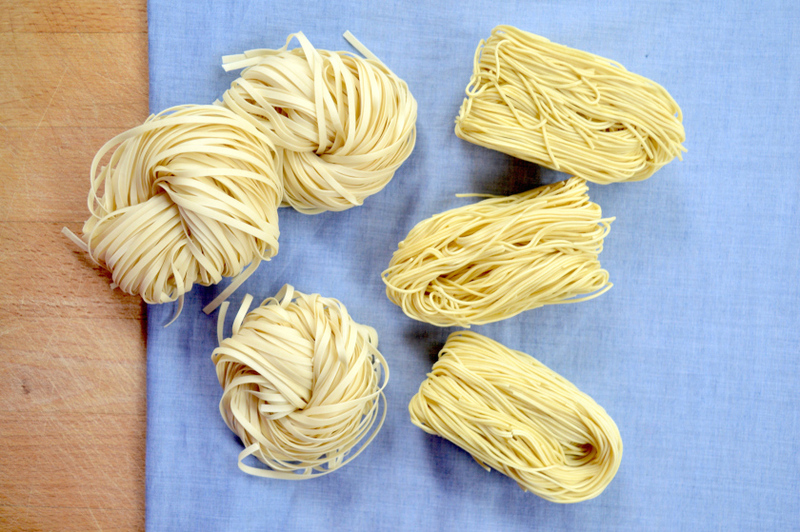 In this first article of a series designed to make you a noodle ninja, we break down two of the most commonly used types of noodles in Chinese home cooking: dried egg noodles and rice noodles. Read on to find out more, and when you’ve become suitably hungry, check out our hero noodle recipes that’ll have you tearing up the takeaway menus. Made with wheat flour and (varying quantities of) egg, dried egg noodles are the most commonly-found variety in conventional western supermarkets. In the UK, we find that Waitrose does an excellent own-brand take on thin egg noodles, while many other supermarkets stock the Blue Dragon range. In Chinese supermarkets there are many different brands and thicknesses to choose from. Egg noodles are especially good for stir-frying because they are robust against the heat of the wok and constant tossing. We usually prefer using thinner noodles for dry stir-fries, whereas thicker egg noodles are perfect for saucier dishes as a greater surface area means more noodle goodness for the sauce to cling on to. To prepare your noodles for stir-frying or addition to a broth, simply soak the noodles in hot water until they are just al dente (this is important to prevent overcooking), then drain and rinse them with cold water before adding them to the hot wok/saucepan. 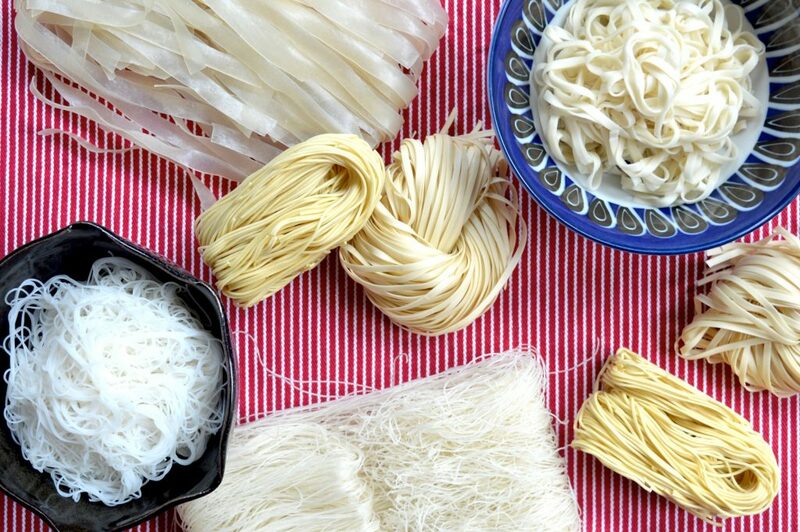 Rice noodles are usually made wholly from rice flour and water, but tapioca and cornstarch are sometimes added to improve the transparency and satisfyingly gummy texture of the noodles. The good news here is that all of these ingredients are gluten-free. Like egg noodles, they come in varying widths. While still not quite as mainstream as egg noodles, dried rice noodles can usually be found in the international section of conventional supermarkets. 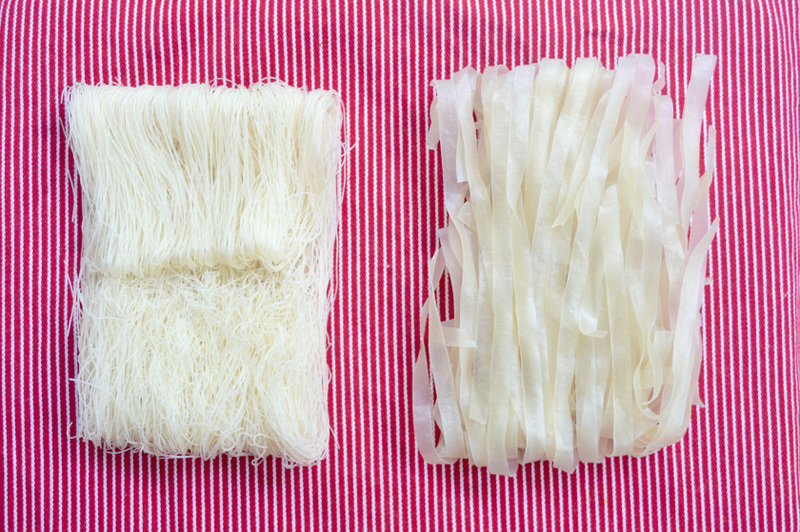 The two main types of rice noodles used in Cantonese cooking are mei fun (super-skinny, often labelled as rice vermicelli) and ho fun (thick and wide). Although a ‘medium’ thickness version does exist, it is more popular in Thai cooking, as in pad thai. Prepare rice noodles for further cooking by first soaking them in cold water for 10-15 minutes until they are floppy, then briefly boil in hot water/broth until supple. For stir-frying, first rinse the noodles with cold water then soak them in boiling water for around 10 minutes until just al dente. 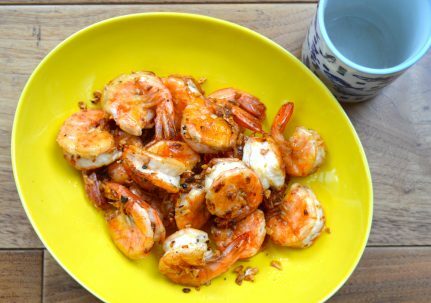 For a very quick breakfast or as an alternative to rice for serving with other dishes, we like to soften the mei fun before mixing in some some simple seasonings to taste (think sesame oil, salt, sugar, white pepper, and light soy sauce).